Emilia Clarke Reveals She Survived Two Brain Aneurysms After finishing the first season of ‘Game of Thrones,’ Clarke became violently ill during a workout session. She was rushed to the hospital where a brain scan revealed a subarachnoid hemorrhage (SAH). Clarke was lucky, as a third of patients die almost immediately from a SAH. She then underwent a three hour surgery and spent a month in the intensive care unit. Emilia Clarke, via ‘The New Yorker’ During her time there, she was also informed of a second, smaller aneurysm on the other side of her brain. In 2013, she discovered it had doubled in size and required immediate surgery. Emilia Clarke, via ‘The New Yorker’ The surgery left her with a scar across her head and parts of her skull replaced with titanium. Clarke is now at 100 percent and recently created ‘SameYou,’ a charity that provides treatment for people recovering from brain injuries. 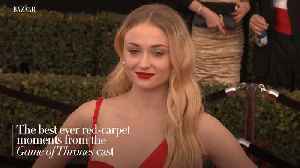 Including Sophie Turner, Emilia Clarke, Gwendoline Christie, Natalie Dormer and Nathalie Emmanuel. 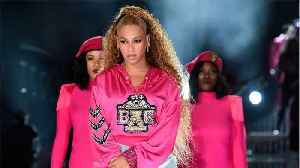 In case you missed it, here's what's trending right now: Beyonce surprises fans with live album to accompany Homecoming Netflix film, Alex Rodriguez planned proposal to Jennifer Lopez for six months,.. Some of the &apos;Game of Thrones&apos; stars are opening up about hidden struggles they faced while filming the hit HBO series. Emilia Clarke, who plays Daenerys Targaryen, recently revealed.. Some of the 'Game of Thrones' stars are opening up about hidden struggles they faced while filming the hit HBO series. Emilia Clarke, who plays Daenerys Targaryen, recently revealed she suffered from..
Emilia Clarke, who plays Daenerys Targaryen, recently posted an Instagram photo of herself on the back of the mechanical rig that acts as a dragon for "Game of Thrones." In the photo's caption, Clarke.. Kit Harington found it "weird" to kiss Emilia Clarke on 'Game of Thrones', because she's his "best friend", and is also close with his wife Rose Leslie. Celebrity Close Up: Emilia Clarke. Emilia Clarke: We should ban photo editing apps The 32-year-old actress has slammed online photo editors and programs like Photoshop, because she says it's "not right" for people to be putting heavily..